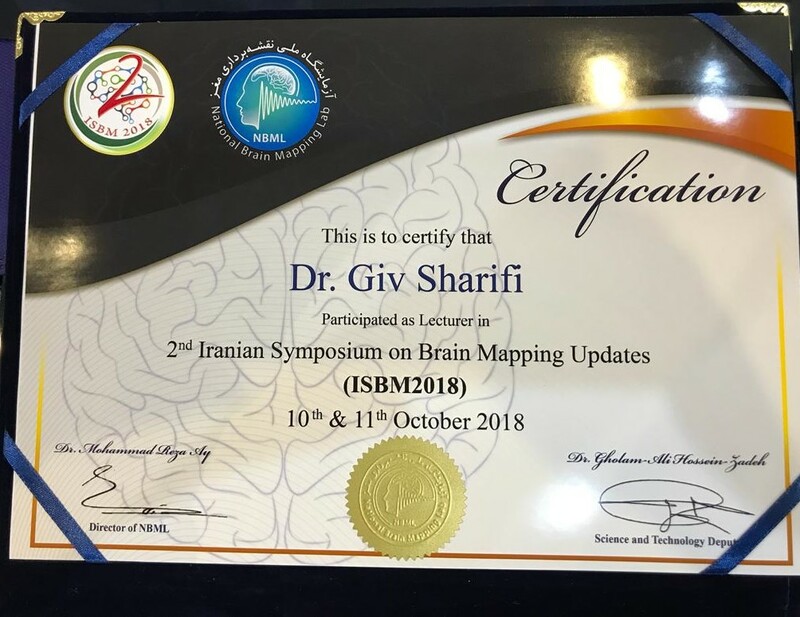 Dr. Guive Sharifi is the first member of Iranian Board of Neurological Surgery who is currently the faculty member of Shahid Beheshti University of Medical Sciences. 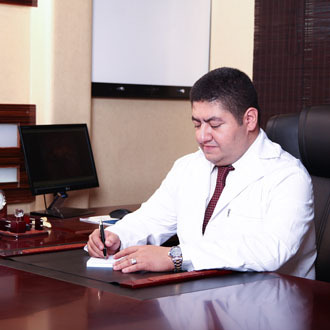 He has conducted valuable studies in the field of neurosurgery, especially Endoscopic Pituitary Surgery and skull base surgery in the world. He has carried out and published about 60 scientific articles in local and international medical journals. He is also a member of the specialized association of neurosurgical societies, including the American association of neurological surgeons. 2008Sharifi G, Rezaei O; Essential Of Neurosurgery, Jahad Daneshgahi Publications. Sharifi G, Bakhtevari MH, Saberi M, Rezaei M, Rezaei O. A Massive Congenital Intracranial-orbital Immature Teratoma Tracing Trigeminal Nerve Pathway in One Monozygotic Twin: Report of a Case and Review of the Literature. Journal of Neurology and Neuroscience. 2016;7(2):79. Benisi-Kohansal S, Shayanfar M, Mohammad-Shirazi M, Tabibi H, Sharifi G, Saneei P, Esmaillzadeh A. Adherence to the Dietary Approaches to Stop Hypertension-style diet in relation to glioma: a case-control study. Br J Nutr. 2016 Mar 28;115(6):1108-16. Bidari-Zerehpoosh F, Sharifi G, Novin K, Mortazavi N. Invasive Growth Hormone Producing Pituitary Adenoma with Lymphocytic Infiltration: A Case Report and Literature Review. Iran J Cancer Prev. 2015 Dec;8(6): e3504. Zerehpoosh FB, Sabeti S, Sharifi G, Shakeri H, Alipour S, Arman F. Demographic study of pituitary adenomas undergone trans-sphenoidal surgery in Loghman Hakim Hospital, Tehran, Iran 2001-2013. Indian J Endocrinol Metab. 2015 Nov-Dec;19(6):791-6. Sharifi G, Bakhtevari MH, Sabouri S, Rezaei O. An aneurysm at the site of the fenestration of the middle cerebral artery in a patient with multiple aneurysms: A case report. Surg Neurol Int. 2015 Sep 28;6(Suppl 16): S414-7. 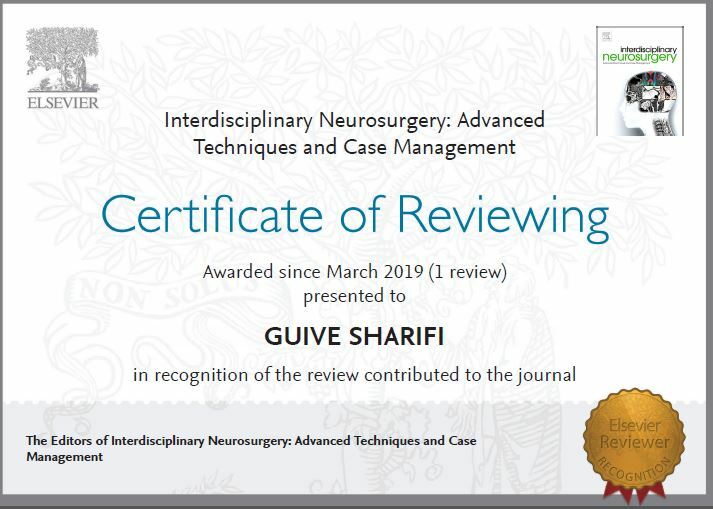 Jalessi M, Jahanbakhshi A, Sharifi G, Mohammadi Azar J, Farhadi, M, Mobasseri A, Endoscopic repair of transsellar transsphenoidal meningoencephalocele; case report and review of approaches, Interdisciplinary Neurosurgery: Advanced Techniques and Case Management. 2015;2:86-89. Arazpour M, Joghtaei M, Bahramizadeh M, Ahmadi Bani M, Hutchins SW, Curran S, Mousavi ME, Sharifi G, Mardani MA. Comparison of gait between healthy participants and persons with spinal cord injury when using the advanced reciprocating gait orthosis. Prosthet Orthot Int. 2015 Jul. Bakhtevari MH, Sharifi G, Jabbari R, Shafizad M, Rezaei M, Samadian M, Rezaei O. Giant Leaking Colloid Cyst Presenting with Aseptic Meningitis: Review of the Literature and Report of a Case. World Neurosurg. 2015 Jul. Sharifi G, Bakhtevari MH, Alghasi M, Saberi M, Dehghan M, Bidari F, Rezaei. Hard calcified intrasellar schwannoma mimicking pituitary adenoma: A case report and review of the literature. Clin Neurol Neurosurg. 2015 Oct.
Sharifi G, Hosseinzadeh Bakhtevari M, Nabizadeh N, Jabbari R, Samadian M, Rezaei O. Spontaneous corynebacterium spondylodiskitis in an immunocompetent patient: A case report and literature review. Spinal Cord Med. 2015 Jun. Sharifi G, Bakhtevari MH, Alghasi M, Nosari MA, Rahmanzade R, Rezaei O. Bilateral Choroid Plexus Metastasis from Papillary Thyroid Carcinoma: Case Report and Review of the Literature. World Neurosurg. 2015 May. Samadian M, Nejad AM, Bakhtevari MH, Sabeti S, Sharifi G, Jabbari R, Rezaei O. Primary Meningeal Melanocytoma in the Left Temporal Lobe Associated with Nevus Ota: A Case Report and Review of the Literature. World Neurosurg. 2015. Sharifi G, Bakhtevari MH, Samadian M, Alavi E, Rezaei O. Endoscopic Surgery in Nonhydrocephalous Third Ventricular Colloid Cysts: A Feasibility Study. World Neurosurg. 2015 Aug.
Hashemi M, Hashemian M, Mohajerani SA, Sharifi G. Effect of pulsed radiofrequency in treatment of facet-joint origin back pain in patients with degenerative spondylolisthesis. Eur Spine J. 2014 Sep.
Jalessi M, Sharifi G, Mirfallah Layalestani MR, Amintehran E, Yazdanifard P, Rezaee Mirghaed O, Farhadi M. Sellar reconstruction algorithm in endoscopic transsphenoidal pituitary surgery: experience with 240 cases. Med J Islam Repub Iran. 2013 Nov;27(4):186-194. Salimi A, Sharifi G, Bahrani H, Mohajerani S, Jafari A, Safari F, Jalessi M, Mirkheshti A, Mottaghi K. Dexmedetomidine could enhance surgical satisfaction in trans-sphenoidal resection of pituitary adenoma. J Neurosurg Sci. 2014 May 27. [Epub ahead of print]. Bidari-Zerehpoosh F, Sharifi G, Zahedifard S, Soleimantabar H, Ebrahimzadeh K, Aghakhani A. Bilateral Orbital Metastasis of Follicular Thyroid Carcinoma: A Rare Case Report. Iranian journal of pathology. Volume 9, Issue 3, Summer. 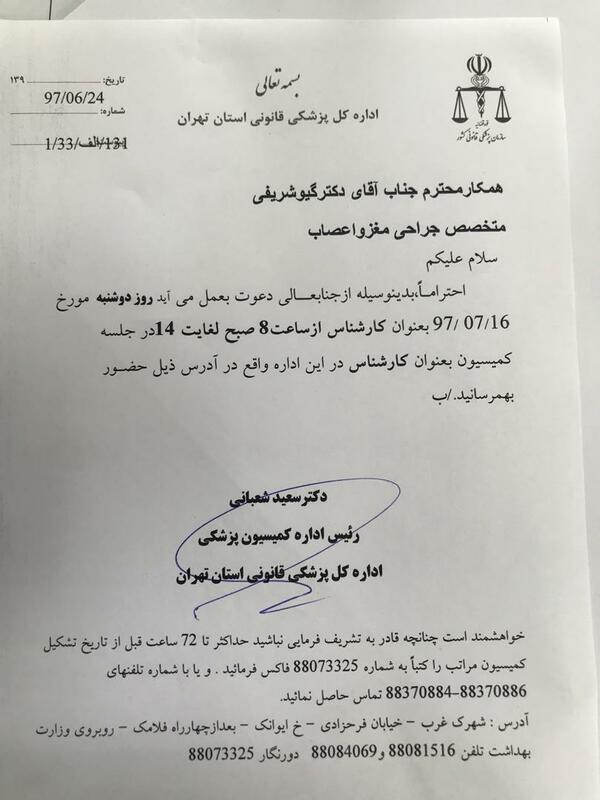 Nemati S, Jabbari R, Hajinasrollah M, Zare Mehrjerdi N, Azizi H, Hemmesi K, Azhdari Z, Talebi A, Mohitmafi S, Vosough Dizaj A, Sharifi G, Baharvand H, Kiani S, Rezaee O. Transplantation of Adult Monkey Neural Stem Cells into A Contusion Spinal Cord Injury Model in Rhesus Macaque Monkeys. Cell J. 2013 May 11;16(2). pii: CellJ.2014.16(2).3. Sharifi G, Alavi E, Jalessi M, Haddadian K, Faramarzi F. Transethmoidal encephalocele after reduction of high intracranial pressure in aqueductal stenosis. Turk Neurosurg. 2014;24(1):75-7. Jalessi M, Sharifi G, Jahanbakhshi A, Parsa K, Yazdanifard P. Third ventricle herniation into the sphenoid sinus following endoscopic transnasal transsphenoidal fenestration of Rathkes cleft cyst. Turk Neurosurg. 2014;24(1):63-6. Sharifi G, Rezai O, Jahanbakhshi A. Unilateral hydrocephalus due to idiopathic anomaly of foramen Monro, treated successfully with endoscopic technique. Report of three cases. Central Eurorean Neurosurgery. Vol 71, Aug 2010:143-145. Aghamohamadi D, Ahmadvand A, Salehpour F, Jafari R, Panahi F, Sharifi G, Meshkini A, Safaeian A. Effectiveness of lumbar drain versus hyperventilation to facilitate transsphenoidal pituitary (suprasellar) adenoma resection. Anesth Pain Med. 2013 Spring;2(4):159-63. Rahimizadeh A, Sharifi G. Anterior cervical arachnoid cyst. Asian Spine J. 2013 Jun;7(2):119-25. Fakhri M, Oghabian MA, Vedaei F, Zandieh A, Masoom N, Sharifi G, Ghodsi M, Firouznia K. Atypical language lateralization: an fMRI study in patients with cerebral lesions. Funct Neurol. 2013 Jan-Mar;28(1):55-61. Sharifi G, Jalessi M, Erfanian D, Farhadi M. Sudden blindness due to isolated sphenoid sinus mucocele and retention cyst. Braz J Otorhinolaryngol. 2013 Jan-Feb;79(1):120. Sharifi G, Jalessi M, Sarvghadi F, Farhadi M. Gigantism treated by pure endoscopic endonasal approach in a case of McCune-Albright syndrome with sphenoid fibrous dysplasia: a case report. J Neurol Surg a Cent Eur Neurosurg. 2013 Dec;74 Suppl 1: e140-4. doi: 10.1055/s-0032-1330957. Epub 2013 Jan 10. Sharifi G, Jahanbakhshi A. Quadrigeminal cistern arachnoid cyst treated by endoscopic ventriculocystostomy through the trigonal region. J Neurol Surg a Cent Eur Neurosurg. 2013 Dec;74 Suppl 1: e145-8. Sharifi G, Alavi E, Haddadian K, Rezaee O, Aliasgari A, Faramarzi F. Surgical outcome of anterior decompression in cervical spondylotic myelopathy in patients with less cord derangement. J Neurosurg Sci. 2012 Dec;56(4):349-55. Sharifi G, Alavi E, Rezaee O, Jahanbakhshi A, Faramarzi F. Neuroendoscopic foraminoplasty for bilateral idiopathic occlusion of foramina of Monro. Turk Neurosurg. 2012;22(2):265-8. doi: 10.5137/1019-5149.JTN.3268-10.2. Bidari-Zerehpoosh F, Sharifi G, Zahedifard S, Soleimantabar H. Bilateral Orbital Metastasis of Follicular Thyroid Carcinoma: A Rare Case Report. Iranian Journal of Pathology 9 (3), 229-233. Amirjamshidi A, Roozbeh H, Sharifi G. Osteoid osteoma of first two cervical vertebrae report of four cases. J neurosurg spine 13: 707-714, 2010. Sharifi G, Jahanbakhshi A, Sabeti S. A large choroid plexus papilloma removed by the cerebellomedullary fissure approach. Case report and review of the literature. Turk Neurosurg. 2008 Jul;18(3):302-6. Sharifi G, Alavi E, Samadian M, Faramarzi F, Haddadian K. Mesial temporal lobe epidermoid tumour compressing the hippocampal formation caused refractory temporal lobe epilepsy. Br J Neurosurg. 2010 Dec;24(6):692-4. Samadian M, Alavi E, Sharifi G, Rezaee O, Faramarzi F. Extension of echinococcal spinal infestation extra- and intradurally after a decade of extinction. J Neurosurg Sci. 2010 Dec;54(4):143-8. Review. Farhadi M, Jalessi M, Sharifi G, Khamesi S, Bahrami E, Hammami MR, Behzadi AH. Use of image guidance in endoscopic endonasal surgeries: a 5-year experience. B-ENT. 2011;7(4):277-82. Sharifi G, Jahanbakhshi A, Daneshpajouh B, Rahimizadeh A. Bilateral three-level lumbar spondylolysis repaired by hook-screw technique. Global Spine J. 2012 Mar;2(1):51-6. Jalessi m, Sharifi G, Ahmadvand A, Jafari R, Zahedi S, Farhadi M. Endoscopic Endonasal Removal of a Large Petrous-Apex Epidermoid Tumor with Clival Involvement and Intradural Invasion. Journal of Minimally Invasive Surgical Sciences. 2013 January; 1(1): 34-37. Samadian M, Rezaee O, Haddadian K, Sharifi G, Abtahi H, Hamidian M, Khormaee F, Sodagari F. Gunshot injuries to the brachial plexus during wartime. Br J Neurosurg. 2009 Apr;23(2):165-9. Sadeghi S, Sharifi G, AliAsgari A. Familial coloid cyst of the third ventricle: a case report and review of the literature. Med J Islamic Repub Iran. Vol 17(3), 267-269, 2003. Garegozli K, Sharifi G, Vesal P, Nazemi Rafie A. Military brain metastasis, unique MRI finding case report and review of literature. J Fac Med Hamedan Vol 38, 56-59,2003. 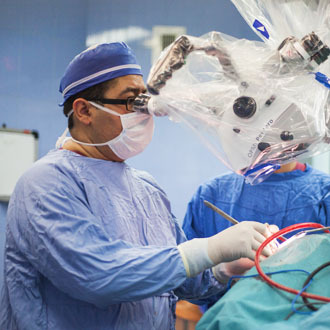 Haddadian K, Rezai O, Sadeghi S, Modares Zamani A, Sharifi G, Kamali R. Evaluation of 102 cases of cerebral aneurysms operated in Loghman Hakim Medical Center, 1993-2003. Iranian journal of neurology. no.12, winter 2005, p:34. Haddadian K, Rezai O, Sadeghi S, Modares Zamani A, Sharifi G, Nazemi Rafie A: Surgery for intractable epilepsy. J Fac Med. Vol 62(3) TUMS 255-260, 2004. Modares Zamani A, Sharifi G, Kamali R: Role of brace in lumbar instable fracture after fixation with pedicular screw. Kashan Uni Med Sci & Health Serv Quart Autumn, No 31(3), 1-6,2004. Malkepour M, Sharifi G. Cueing Interference and Preference between the Auditory and Visual Systems, 3rd Satellite Neuron Meeting, Neurons and Sensory Systems, November 11, 2005 Washington DC USA. Shahzadi S, Andalibi R, Sharifi G. Computed Imaging-Assisted Stereotactic Intracranial Biopsy of thalamic lesions: 15-year experience from a single institution. Arch Iranian Med. 2005; 8 (3): 188 – 191. Haddadian K, Rezaee O, Sadeghi S, Modarres Zamani A, Sharifi G, AliAsgari A. Cervical Spondylotic myelopathy: the pattern of neurologic deficits and improvement following anterior cervical decompression. Med J Islamic Repub Iran Vol. 18(4), 331-335, 2005. Amri P, Hashemian SMR, Sharifi G, Aliasgari A. Intrathecal Administration of Digoxin in Rabbits. Anesth. Analg., Vol. 104, Issue 2, 469 February 1, 2007. Rezaee O, Sharifi G, Samadian M, Haddadian K, AliAsgari A. Endoscopic Third Ventriculostomy for Obstructive Hydrocephalus: Experience with 24 cases in Loghman Hakim hospital. Arch Iran Med. 2007 Oct;10(4):498-503. Shahzadi S, Sharifi G, Andalibi R, AliAsgari A. Management of Cystic Craniopharyngiomas with Phosphorus-32 Intracavitary Irradiation. Arch Iran Med. 2008 Jan;11(1):30-4. Saneii T, Hemadi H, Sajadinasab M, Sharifi G, Jalal AH, Shakiba M. Computed tomography finding in patients with mild head trauma. Iran J Radiol, summer 2007 4(4). Firoozan A, Poorrezagholi F, Shojaii S, Sharifi G, Kordi A. Hyperlipidemia after renal transplantation. Iran J Urol.No.7, Vol 28. Sharifi G, Alavi E, Haddadian K, Rezaee O. Neuroendoscopic Foraminal Plasty of Idiopathic Bilateral Occlusion of Foramen of Monro. Accepted by central European neurosurgery and waits for publication. Sharifi G, Mortaz M, Parsaei B. Multiple spinal cord tumors presenting with paraplegia after trauma. Accepted by Acta Neurochirurgica and waits for publication. 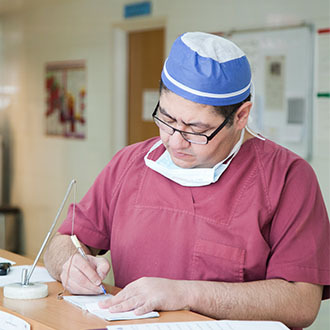 Malekpour M, Sharifi G. Surgical treatment for epilepsy in developing countries. JAMA. 2009 May 6;301(17):1769. Maasomian M, saneii M, samadian M, Sharifi G. Arnold-Chiari Malformation Type I and II in Iranian Adults: Clinical and Radiologic Features. Iranin Journal of radiology. 2008. 2004 up to now: Assistant professor of shahid beheshti medical university neurosurgical department. 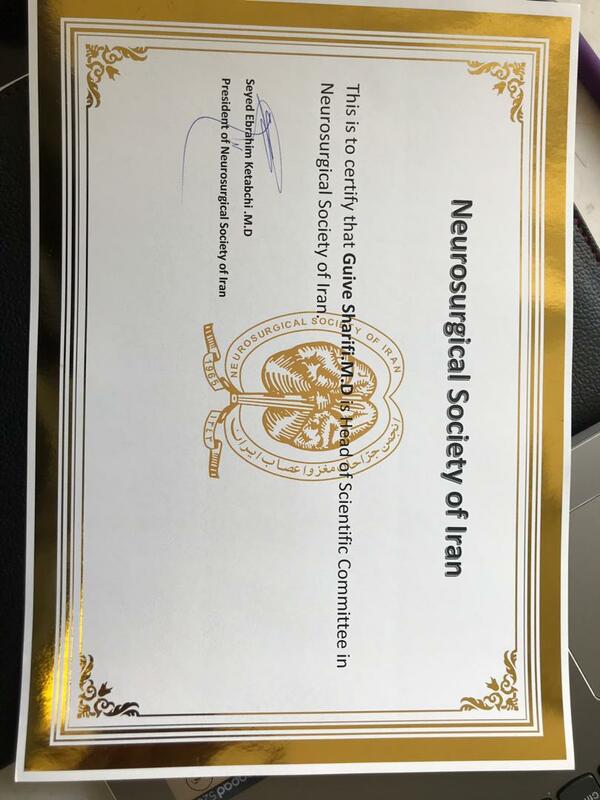 Founder (with association of Iranian neurosurgical society) and scientific secretary of three consecutive of endoscopic skull base surgery and pituitary ,sella and suprasellar lesions congresses of Iranian neurosurgical society since 2013. 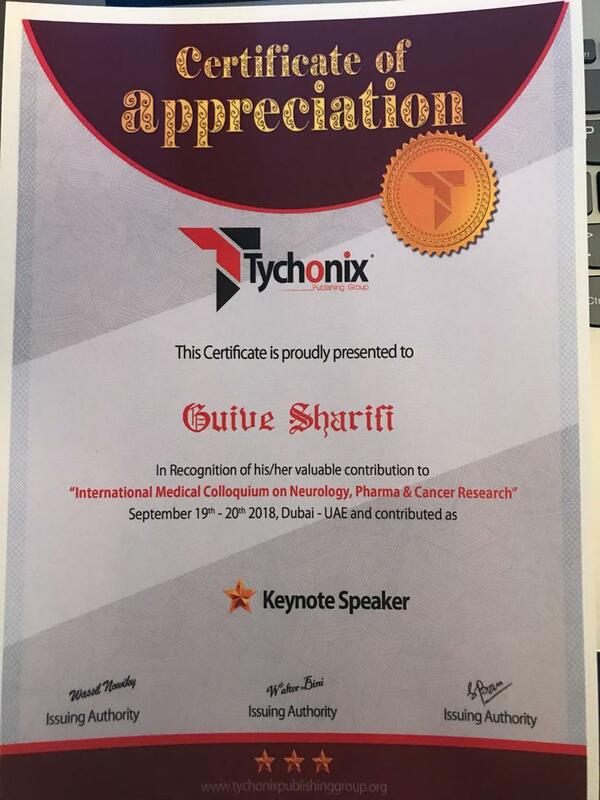 Founder (with association of Iranian neurosurgical society) and scientific secretary of four neuro-endoscopic and ventricular lesions congresses of Iranian neurosurgical society since 2012. •	Since 2004: Reviewer of Pajouhandeh bimonthly research journal, Shahid Beheshti University of Medical Sciences. Tehran, Iran, (Persian). •	Since 2006: Reviewer of Iranian Journal of Clinical Infectious Diseases (IJCID), Infectious Diseases and Tropical Medicine Research Center, Shahid Beheshti University of Medical 2011: Reviewer of Journal of Minimally Invasive Surgical Sciences, (Daroonbin center, )Iran university of medical sciences Sciences. Tehran, Iran. 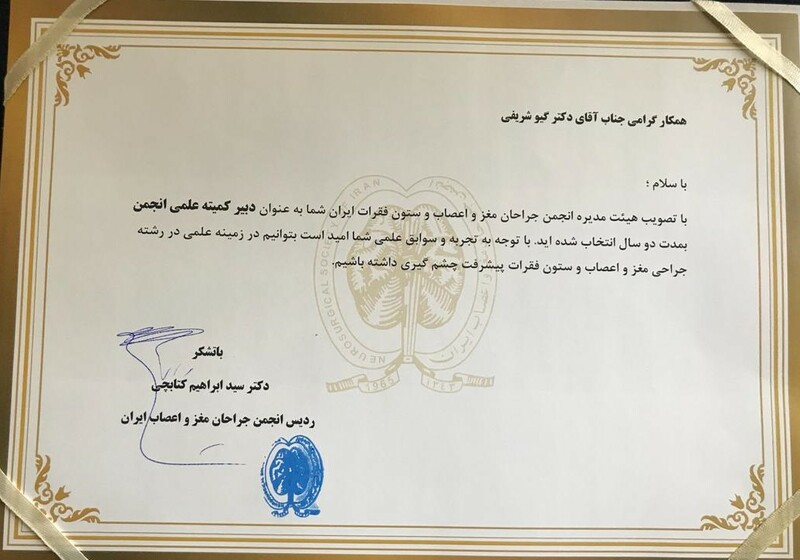 1)	first successful endoscopic third ventricle arachnoid cyst in shahid beheshti Iran medical university and medical research on this issue in neurosurgical department of Loghman Hakim hospital. 2)	Foundation of first refractory epilepsy clinic in Shahid Beheshti medical and medical research on this issue in neurosurgical department of Loghman Hakim hospital. 4. A before /after study to elucidate effect of anterior decompression and short segment fixation and fusion on patient with thoracic disc herniation. Nov 2012: Endoscopic Transplanum trans intercavernous sinus (ETPTICS) approach to pituitary microadenoma: Introduction of a novel technique to enhance endocrinological outcome, Congress of Iranian Neurosurgeons. Nov 2012: Endoscopic Transplanum trans-intercavernous sinus (ETPTICS) approach to pituitary microadenoma: Introduction of a novel technique to enhance endocrinological outcome, Congress of Iranian Neurosurgeons. Nov 2012: Endoscopic Endonasal Pituitary Surgery: A Rhinologist Point of View, Congress of Iranian Neurosurgeons. Oct 2010: Treatment of hyperextension cervical spine injuries, Neurospine symposium on cervical spine trauma. Sep 2010: Treatment of thoracolumbar fracture dislocation. Neurospine symposium. Jun 2010: Treatment of multilevel cervical spondylolytic myelopathy, Neurospine symposium on cervical spondylolytic myelopathic surgery. May 2010: Intramedullary cervical spine tumors, Neurospine symposium on cervical cord tumor. May 2010: Spondylolisthesis: when I do surgery?, AO spine symposium on degenerative lumbar spine disorders, Shiraz, Iran. Apr 2010: Pathophysiology of peripheral nerve injury, Annual summit of Iranian Neurosurgical Society, Tehran, Iran. Apr 2010: Vagal nerve stimulation (VNS), Annual summit of Iranian Neurosurgical Society, Tehran, Iran. Apr 2010: Chronic pain definition and classification, Annual summit of Iranian Neurosurgical Society, Tehran, Iran. Mar 2010: Different methods for atlantoaxial fusion, Iranian Neurospine symposium on rheumatoid arthritis, Tehran, Iran. Feb 2010: Imaging in tethered cord syndrome, Iranian Neurospine symposium, Tehran, Iran. Feb 2010: Minimally invasive pituitary surgery (MIPS), 7th congress of Middle East otolaryngology and skull base surgery, Dubai, UAE. Dec 2009: Sympathectomy for refractory causalgia, Neurospine symposium on Interventional pain management symposium. Nov 2009: Spiritual heart versus carnal heart, Congress of voices of heart (held by philosophy and cardiology departments of Shiraz University), Shiraz, Iran. Sep 2009: Endoscopic Thoracoscopic Sympathectomy for Palmar Hyperhidrosis, Thoracic surgery section of 2nd international pulmonary care conference, Tehran, Iran. Aug 2009: Endoscopic Thoracoscopic Sympathectomy for management of upper extremity Sympathetically Mediated pain, 3rd Congress of Anesthesia and Pain Management, Tehran, Iran. Aug 2009: Endoscopic Thoracoscopic Sympathectomy for Palmar Hyperhidrosis, International dermatology conference, Tehran, Iran. Aug 2009: Role of interbody fusion in management of lumbar pathology, Iranian Neurospine Symposium, Tehran, Iran. July 2009: Nutrition in Head trauma patients, 2nd congress of ICU care, Tehran, Iran. Jun 2009: Augmentative procedure in control of cancer pain, 2nd congress of palliative care for cancer patients, Tehran, Iran. May 2009: Thoracoscopic Sympathectomy for Palmar Hyperhidrosis, minimally invasive and endoscopic surgery congress, Shiraz, Iran. Feb 2009: Cervical Spondylolisthesis myelopathy a survey to reveal effect of anterior decompression on natural history of disease, 2nd international symposium of minimally invasive spine surgery, Kish island, Iran. Jan 2009: Endoscopic thoracic sympathectomy a new quantitative assessment for evaluation of outcome, Iranian Neurosurgical Society monthly summit, Tehran. Jan 2009: Surgery of sacral chordoma, Neurospine summit, Tehran. Nov 2008: Evaluation of Patients with Thoracic Disc Herniation Before and After Surgery, Neurospine summit, Tehran. Dec 2008: Minimally Invasive Thoracoscopic Sympathectomy for Palmar Hyperhidrosis, Iranian neurosurgery midterm congress, Mashhad, Iran. Dec 2008: Lesional Epilepsy: an Unnoticed and forgotten but Reasonably Remediable Entity in Medically Refractory Epilepsy Patients in Our Country, Iranian neurosurgery midterm congress, Mashhad, Iran. Sep 2007: Subaxial cervical spine injury in pediatric age group, Cervical trauma seminar held by international neurospine institute, Tehran, Iran. 2008: Genetic of intracranial aneurysm, Iranian Surgeons’ Association Summit, Tehran, Iran. Dec 2007: Outcome after corpus callosotomy in patients with refractory epilepsy, Iranian neurosurgery midterm congress, Ahwaz, Iran. Dec 2007: Endoscopic treatment of midline suprasellar and quadrigeminal arachnoid cysts, Iranian neurosurgery midterm congress, Ahwaz, Iran. 2007: Sympathectomy for sympathetically mediated pain, 1st national pain seminar, Tehran. 2007: Surgery of Superficially Located Glioma in Eloquent Brain Area, Iranian Surgeons’ Association Summit, Tehran, Iran. 2007: Role of Surgery in Recurrence of Glioma, Iranian Surgeons’ Association Summit, Tehran, Iran. 2007: Surgical Management of Low Grade Glioma, CNS Malignancies, Tehran, Iran. 2006: Endoscopic Management of Unilateral Hydrocephalus due to Congenital Anomaly of Foramen of Monro, Neurosurgery Meeting, Oroomiyeh, Iran. 2006: Epilepsy Surgery in Developing World, 3rd National Epilepsy Meeting, Tehran, Iran. 2006: Management of Head Trauma in the Elderly, 1st Seminar of Surgery in Elderly, Tehran, Iran. 2006: Management of Failed Back Syndrome, 1st Pain Management Symposium, Tehran, Iran. 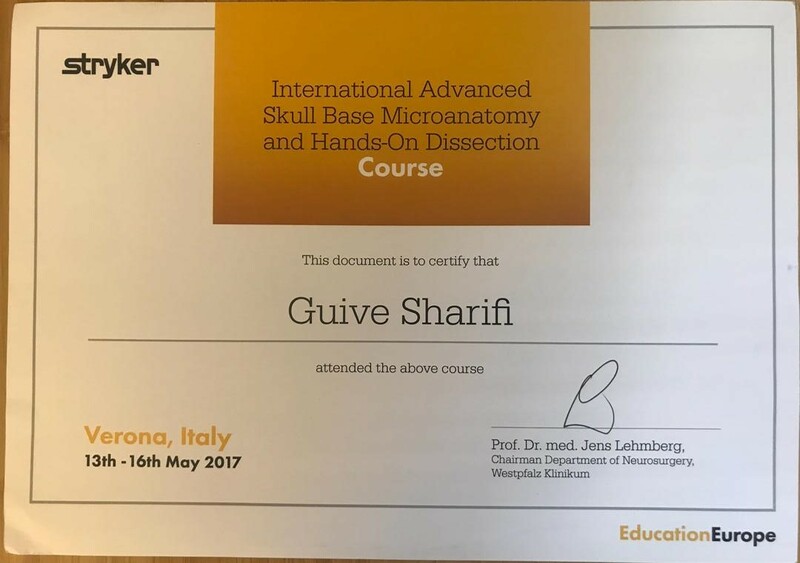 Apr 2010: Endoscopic brain, skull base and spine surgery, deductive course, Hannover, Germany. Feb 2009: Cosmic, spinal dynamic fixation operation course, Feldkirch / Austria. Feb 2009: Anterior cervical fusion operation course, Spine center, Stuttgart. Feb 2008: Spine Observership (with PD Dr. Paul Heini) at the universitatsspital in Bern, Switzerland. Dec 2007: Workshop of Eurospine Spinal Fixation System, Ahvaz, Iran. Nov 2007: Medtronic seminar and workshop by Antonio Fabrizi, Tehran. Nov 2007: Regional training course on radiation protection for doctors (non-radiologists, non-cardiologists using fluoroscopy) held in Dubai, United Arab Emirates. Feb 2007: AO spine comprehensive course by Thomas Egloff, Tehran. Feb 2007: Workshop of OSCE (Objective Skills for Clinical Examination), Shaheid Beheshti University of Medical Sciences, Tehran, Iran. 2006: Regular Kyphosis and Sagittal Balance, GICD, Istanbul. 2006: Comprehensive course of AO Spine, Tehran. Jun 2006: Vertebroplasty course, Pars hospital, Tehran, Iran. 2005: Spinal Surgey, Prodisc course, AO Iran, Tehran. Jul 2005: Workshop of “Student Performance Assessment”, Shaheid Beheshti University of Medical Sciences, Tehran, Iran. Dec 2004-Aug 2005: Workshop of “Evidence Base Medicine” in monthly EDC center conferences, Shaheid Beheshti University of Medical Sciences, Tehran, Iran. Sep 2004: Workshop of “Methodology of Health Research”, Shaheid Beheshti University of Medical Sciences, Tehran, Iran.